*Additional fees and printing costs may apply. Our in-house design team have over 15 years experience, including eight years working in the travel, tourism and hospitality sectors of West Wales. We have excellent links with printers across Wales, resulting in reasonable print costs. 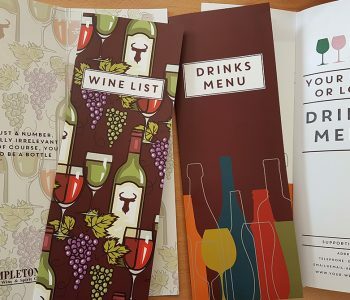 When purchasing drinks or wine from Templeton Beer, Wine & Spirits, we can offer FREE Templeton branded wine list / drinks menu covers, including FREE design, formatting and insertion of your menu. 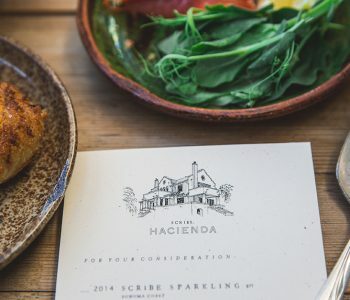 If your establishment requires something unique, we are able to design bespoke Wine List / Drinks Menus at reasonable prices. To discuss your options, please call Templeton on 01834 860992. 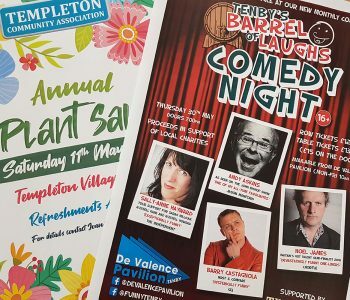 If you’re holding a charity or community event and Templeton Beer, Wine & Spirits are supplying the liquid refreshments, we are happy to share the event details via our social media channels. Given enough notice, we may also be able to assist in the design of posters and images for use on social media. For additional fees we are able to supply creative resource including logo, flyer and business card design, as well as, social media support to help your establishment grow your online presence.